This is a marked difference in the COLA over the past couple years. 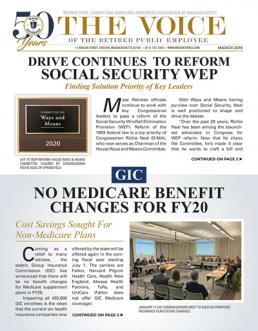 Members, receiving Social Security, saw a meager 0.3% (three-tenths percent) COLA this year and zero raise in benefits for 2016. It also is the largest increase since 2011 when benefits were upped by 3.6%. Why such a whooping increase for many members? Remember the Part B premium is calculated each year, as it is now being done for next year. For this year and last year, most retirees got a break on a Part B increase and paid no or very little because they received no COLA in 2016 and only 0.3% in 2017. Basically they’ve been “protected”, and paying much less of a premium increase than they would have if Social Security’s COLA had been greater. But the COLA will be more in 2018. Consequently next year Medicare enrollees, who have been receiving a break for two years and paying a reduced or no hike in the Part B premium, will no longer be protected and will be sharing equally in the increase. Again please remember that the Medicare Part B increase has not been finalized and the figures are projections only. We will keep you posted. BLS also calculates an experimental CPI for the elderly, or CPI-E, by using households whose reference person or spouse is 62 years of age or older. In 2009–2010, approximately 24 percent of all consumer units met the CPI-E's definition of having a reference person or spouse 62 years of age or older.